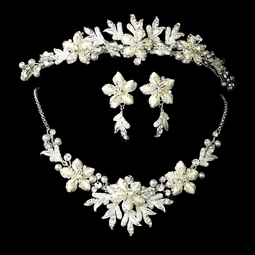 HOME / WEDDING HEADPIECES / Wedding Tiara / Angelica - Dreamy white floral bridal tiara and necklace set -- SALE!! 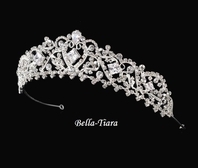 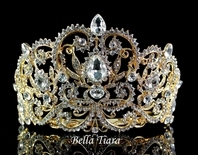 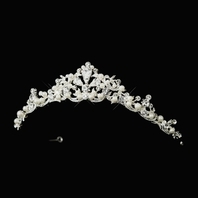 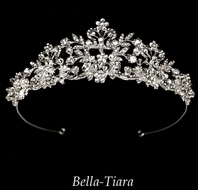 Description: The Angelica Tiara is one of our most popular tiara. 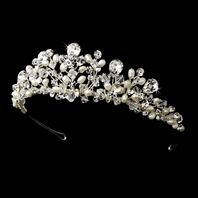 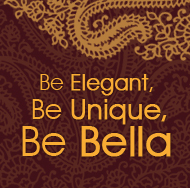 Features a beautiful floral desing with white faux pearls, Genuine Austrian Rhinestones, and champagne stones.